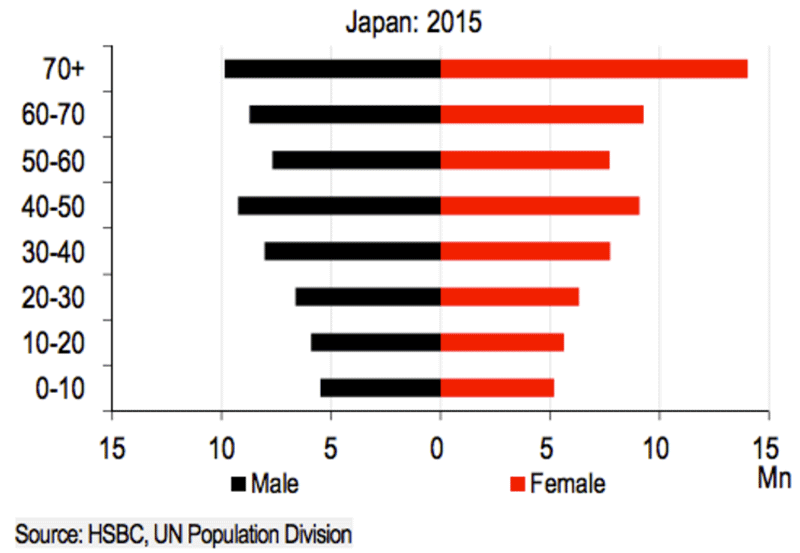 Much has been made about about the horrible demographics facing Japan. Recently released census data showed the population of the world's third largest economy shrank by a million people between 2010 and 2015 to 127.1 million. That number is expected to fall further without a substantial increase in the birthrate, which currently stands at 1.4 children per women. But Japan isn't the only country in Asia facing a demographic cliff. The Asian Tigers are too. 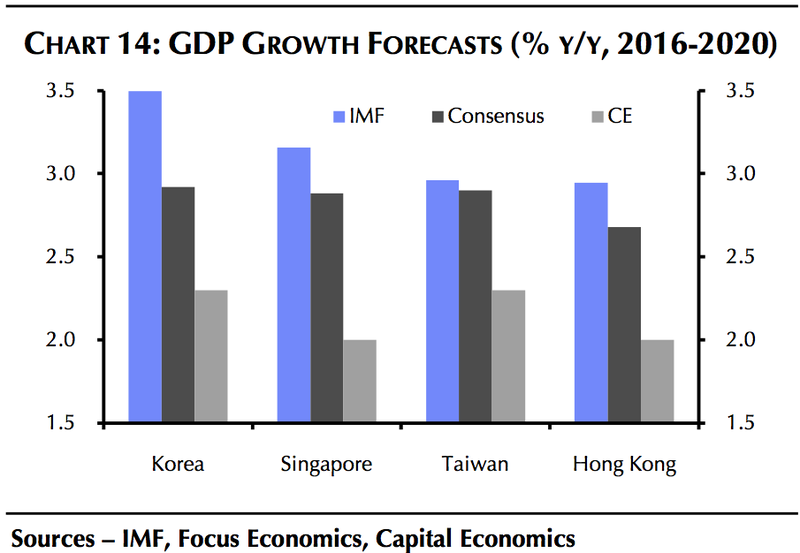 According to Capital Economics the newly industrialized economies of Hong Kong, Singapore, South Korea and Taiwan face a combination of demographics that will likely cause them to grow at closer to 2% than the 3% to 3.5% growth that many are expecting over the coming years. Possibly the biggest issues these economies are facing are that they have among the lowest birthrates in the world, and their people are among the longest living. 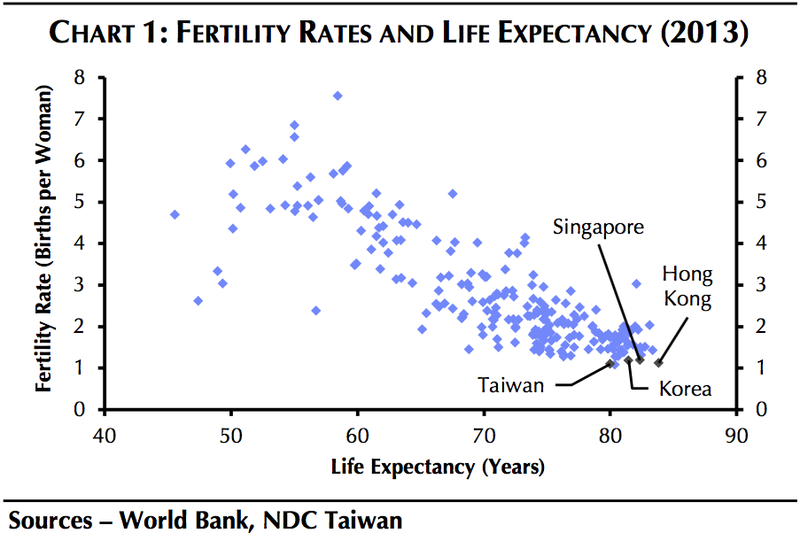 Capital Economics says all four economies have fertility rates "well below the 2.1 births per woman typically required to maintain the size of the population." Additionally, a 60-year old in these countries is now expected to live past the age of 80. Not only does this mean the working age populations of these economies will continue to shrink, but also that governments will be forced to allocate more and more resources to pensions and healthcare. To offset the cost of these services, governments will likely have to sacrifice spending on growth areas such as infrastructure and research & development. Capital Economics says, "Governments could of course borrow more, but over the long-term this would probably lead to a rise in interest rates, which would crowd out investment by the private sector. Have more babies. This is unlikely as the high cost of education is one of the reasons couples have only one child. Additionally, long and inflexible workdays make it difficult for women to work after the birth of a child. Therefore, many would rather not have another child than give up on their careers, according to Capital Economics. Increase labor force participation. This means either increasing the amount of women in the labor force, or having people work longer. The former is unlikely due to the reasons listed above. The latter is likely difficult to implement. Increase Immigration. Capital Economics says, South Korea has had some success in this area in recent years, but on the whole have only seen a small net increase. Hong Kong, Singapore and Taiwan are seeing overcrowding and exuberantly high home prices, and that has caused some push back against immigration. So what's ahead if the problems can't be solved? Capital Economics sees growth of between 2% to 2.5%. 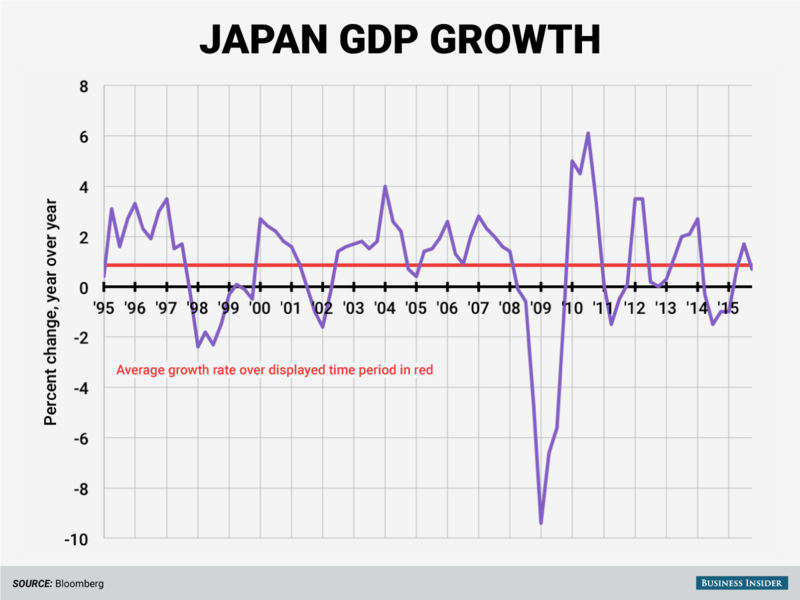 The upcoming slowdown "could easily add to social discontent in all four countries," the firm says. Additionally, Hong Kong, Singapore and South Korea have seen an explosion of private sector debt, and in order to prevent a financial crisis "credit will have to expand at a slower pace than real GDP for a sustained period," according to Capital Economics. The good news for the Tigers is that they aren't going to be Japan. At least not yet.